This adds tabs to switch between babel output and AST. I fixed also an issue, that an empty source was still compiled. I changed it to skip compilation if source is empty. There is one bug still, that I haven't figured out yet. In mobile when the options are uncollapsed and then get collapsed the editor is not using the complete height. It seems that it added another scrolling bar because of the new header which is taking some space. I'm running Chrome version 58.0.3029.110 (64-bit). Also added the time the transformation took to the toolbar now. 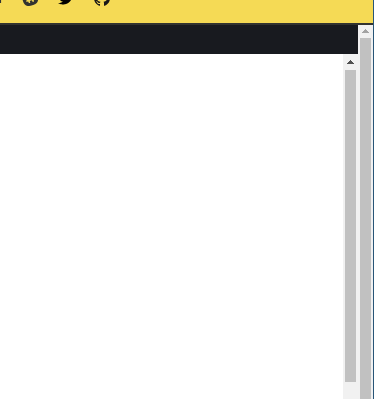 Fine with the design, we can put an examples dropdown in the space above the left side editor. 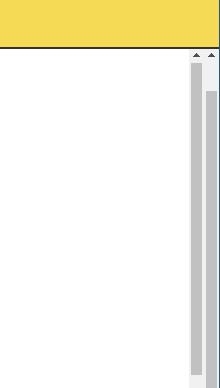 I like having the AST output handy, but I don't like losing a line of vertical space fro the tab bar. I don't think it needs to be super visible b'c I don't think it's a common use-case. I think it's worth the tradeoff to avoid using valuable vertical space. @bvaughn has a good point about the vertical space, and I guess it would mostly make sense to reuse the menu bar we already have on the left in some way? Yea... I'm fine with it in the sidebar. Guess we can solve the examples stuff later if we ever even get to it. Guess we can solve the examples stuff later if we ever even get to it. I may be misunderstanding you, but isn't this already doable just via the query params? Wouldn't the UI just be links (eg "Try this in the REPL") mixed throughout the non-JS portion of the site? Or were you imagining some menu within the REPL to view pre-installed "recipes"? Imagining some menu within the REPL to view pre-installed "recipes"? I kind of like keeping the REPL simple- kind of like a browser-based IDE. I think an external recipes section (eg somewhere else on the website) with links to the REPL for common code patterns could be nice though. We should definetely land this in some form now that babylon is in the monorepo, and it would be nice to have it remove loc or other ways to filter. I'm not 100% sold on the need for AST output here. Seems like it overlaps with AST Explorer, which is focused solely on AST exploration (and as such is much better IMO). That being said, I still have the same concern I raised previously about the loss of vertical space with this change. If you like either of the sidebar options I mentioned in previous comments, I can probably implement one of them on the flight to London tomorrow. Just let me know which you prefer. Yeah, astexplorer does it much better for sure: has highlighting, filtering of properties, etc. We just want to be able to see the ast output per PR, but that can be alternatively dealt with by just running this PR's link: https://deploy-preview-1421--babel.netlify.com/repl/build/master or getting astexplorer itself to read any babel-standalone version just like babel repl is doing? Ha! I understand what you meant by that comment now 😆 Yeah, assuming Netlify never cleans up "preview" URLs, you're right. or getting astexplorer itself to read any babel-standalone version just like babel repl is doing? For me it is an essential feature missing from our repl, especially when working on pull requests to see what the AST looks like is something I do all the time for babylon. Right now I create dummy tests and change them, run tests, change test, run tests,... just to see the AST, which is not a nice workflow. Also reproducing bugs with the latest master is something i do regularly and ASTexplorer always being outdated doesn't help with that. I personally don't care where the option for the AST lives even if its a tab row, as screens are big enough imho and nobody is probably seriously using the repl on a phone. Also if we want to integrate other stuff the top bar could be useful. On the other hand if we want to have options to disable output of locations for example then they might live in the sidebar, but splitting options is also not good I guess, so probably everything should be moved to the sidebar. I also like the idea of being able to see the output and the AST at the same time. I guess the main points of the repl is to let people see what babel is doing (where examples could come handy), let people reproduce bugs in an easy way (source code as well as AST) and for maintainers to investigate bugs. When I have time I will remove the tabbar and move the AST option to the sidebar and add an option to remove locations. Also fixes an issue when the textarea is cleared. I changed it now to be a separate panel instead of tabs. I like this change, Daniel! This looks great to me. Thanks for following up on this! As the source is not a textarea anymore, it doesn't make sense to convert back to textarea. I stole this from somewhere, but cannot recall from where. I'm just wondering, the AST shows the emitted code, wouldn't it more practical to show the input? For example JSX: REPL. 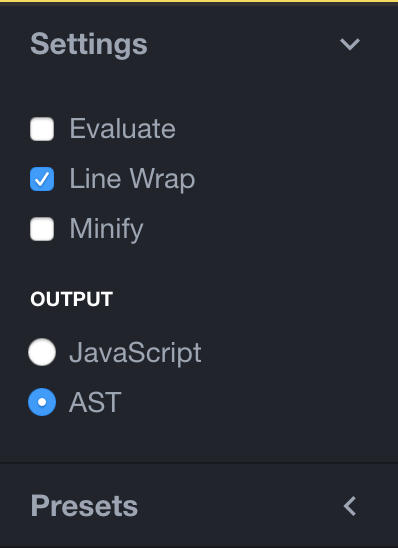 I would expect to see the JSX* instead of the React.createElement in the AST. Good point, you can of course by hand disable all presets, but that might be forgotten. Either ensure that no presets and plugins are supplied to babel when outputing the AST. Have a separate compiler that uses babylon directly. The first one is probably easier. 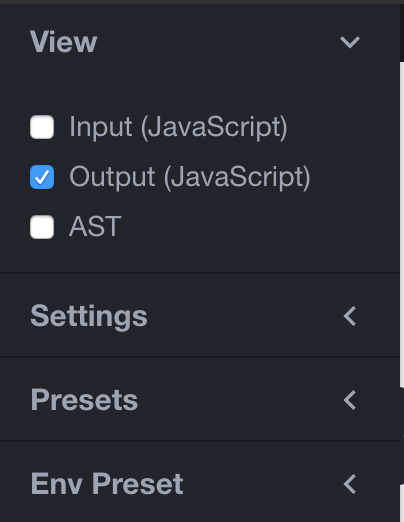 And in any case all other options (presets, env) should be disabled in the UI when selecting AST. I would take the second option. An AST, Babylon could directly parse it using a few Babylon plugin from the plugins/presets. Currently it's showing the transformed AST, I think it would be better to show before any transformations were applied. It's confusing for users because they wouldn't see JSX* nodes but rather the CallExpression version.